The moment I heard of this elite European style Bakery, I was intrigued. The name itself had an innovative ring to it. ‘Glacé’ is a French word, which means ‘frosted or iced, as cake’ or ‘candied, as fruits’. And the innovation didn’t stop just at the name. While numerous, bakeries have come up, not many have been able to influence the baking scene in Kolkata like Glacé Patisseries. 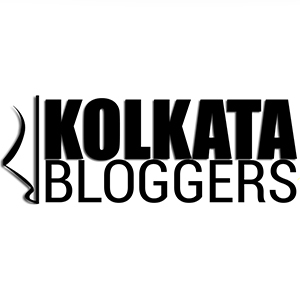 Even though they just have one outlet; located in Kasba on the ground floor of Chamber Mall, they have gained popularity in a very short time among Kolkata’s dessert lovers. Their popularity is just not limited to Kasba, or even just South Kolkata. Glacé is a small sized bakery, with limited sitting area, but everything about this place is very pretty, fluffy, pink; starting from the walls, to the bakery items on display, the customized cakes, the boxes arranged on the shelves, the mini table-chairs, etc. While we tasted a few of their most sought after delicacies, I must take this opportunity to mention that they make a lot of customized cakes (even naughty ones) and do home delivery. To begin with I must say that I’m a die heart dessert lover and when the entire tray full of desserts was placed in front of me, I was simply overjoyed. All the desserts had their own distinctive presentation and looked very enticing. Even before I delve into the details of the desserts, I must mention that all of them tasted miraculously good and my fellow foodie friends gobbled up everything within minutes. All the desserts were fresh and of outstanding quality. Red Velvet Cake with Cream Cheese Frosting: This was primarily a red velvet cake with cream cheese frosting. And the frosting, I must say made a hell lot of difference. I loved the cake. The quantity was huge and the taste was simply delicious. Orange Cointreau(pastry): This pastry constituted a thin chocolate cake layer, then a thick chocolate cream layer and topped with orage extracts and Cointreau. Cointreau, is primarily a liquor and it gave a slightly bitter taste to this pastry. I loved it, it was innovative, looked enticing and tasted yummy. Lemon Meringue Pie(pastry): Personally I love fruity flavors in desserts and the dish just blew my mind. It constituted of a crust probably made shortcrust pastry, lemon custard filling, a layer of chocolate pastry and a fluffy meringue topping. Just saying that it was delectable, doesn’t do justice to this dish. Almond Barquebbe: This had an interesting boat shaped presentation; it was primarily a tart with sliced almond and caramel mixture on top. It was a very innovation dessert and tasted palatable. Blueberry Cheese Cake: This happens to be one of the most famous dessert dishes of the West. And Srayasi did full justice to it. With a graham cracker or biscuit-y thin layer at the bottom, then a deliciously creamy blue berry cheese cake in the middle and topped with blue berry extracts. It tasted subtle but marvelous. Sacher Torte(pastry): It is dense, chocolate cake, from Vienna. It is one of the most famous Viennese culinary specialties. And again, so, so delicious. The chocolate was thick, not extra sweet, the pastry was fresh. Salted Caramel Praline Pastry: This was one of the best desserts that I had, had that evening. Trust me there were a lot of close contenders. Personally I’m very fond of salted caramel because it adds a different, non-sweetish flavor to the entire dessert pallet. And top that with some crunchy Praline and you have sheer perfection. Also I like my desserts a little crunchy ; and the combination of a simple pastry with intermediate crumbs of praline and salted caramel dressing turned out to be exquisite. Cherry Almond Tart: I love cherries, I love Almond and put them in a tart and I love them even more. This was a delicious dessert. Coffee Bean Macaroon: Primarily containing coffee, cream and chocolate this dish was another example of a perfect dessert. It constituted two macaroons (one small, one slightly larger) placed on top of one another and white chocolate topping. It was elaborate, it was delicious, it had a strong coffee flavor; in one word it was exquisite. Mango Coconut Panna Cotta: This was the shop stopper of the evening. It came in a small glass jar. With a mango pulp and cream mixture at the bottom, then a coconut milk and cream mixture on top and white chocolate garnish. With the first bite I was transported to another world. It was just simply WOW. It tasted refreshing because of the strong mango flavor, slightly tangy and sweetish at the same time. Definitely a very innovative creation. Sryashi gave us a goodie bag full of desserts while we were leaving and even when I had them the next day after refrigeration of about 24 hours, everything tasted delicious and still fresh. I thank Srayasi for this lovely experience and wish Glacé all the best for its future adventures! We should go together sometime!